We define “out of poverty” as the ability to meet basic needs like food, clothing, education and also the ability to save for the future. On average, each family has five members living on their farm who are significantly impacted by the new income. Total people out of poverty is calculated as total businesses created x 5 people per family. 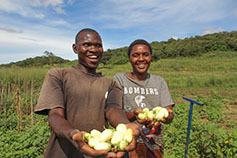 Approximately 75% of pumps sold are actively being used to create a profitable family farming business. This is a conservative approximate figure that has been verified in numerous follow-up surveys. Total businesses created is calculated as ~75% of pumps sold. On average, each business grows enough fruits and vegetables to feed their own family as well as 9 other families (~50 people) all year round. So, people fed is calculated as businesses created x 50. On average, each family business creates 0.9 jobs on their farm. One job is defined as 150 days per year x 5 hours of work per day. Jobs created is calculated as businesses created x 0.9. On average, each family business generates $850 per year in new net incomes and new wages for their employees. This figure is calculated as the number of new businesses created x $850. Farming families increase overall household income by 400%, on average. KickStart could base our claims of success on the number of pumps we have sold alone, but that says nothing about whether or not we are meeting our mission—lifting people out of poverty. To truly understand and report our impacts, we have to measure how much more money farmers are earning with our pumps, as well as the direct improvements in their lives, including food security, improved nutrition, healthcare, and children’s education. Collecting this information is challenging and time-consuming, but priceless. Many of our farmers live far off the grid and miles from the nearest paved road. Often, there are no addresses in rural Africa and only by locating the closest church or school can we pinpoint farmers’ homes. Luckily, our impact monitoring team is comprised of persistent detectives who are able to find the farmers. Once we track down a farmer, our enumerators ask a series of questions about what and how much they grow, how much land they cultivate, household income, their children’s education, and diet to get a snapshot of their lives before any real tangible impacts. This is often referred to as the zero-age or baseline survey. The same farmers are then visited 18-24 months later after measurable changes have occurred, and then again after three to four years. 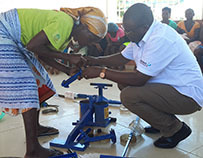 By this stage, a family should have optimized the use of the pump to suit their unique circumstances and the data collected paints a picture of how a family’s social and economic status has permanently changed. To date, over 240,000 families have created successful new farming businesses and are generating wealth with KickStart's MoneyMaker Pumps. We'd like to introduce you to a few of them. 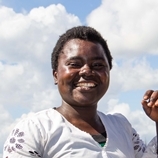 Aqwalina suffered the mistreatment of her abusive husband for thirteen years. One day, he left her and their young son, Dennis, with nothing but the land under their feet. One of the best first steps that farmers in Africa can take in lifting themselves out of poverty is to invest in a MoneyMaker pump from KickStart. Our pumps are already affordable for small-scale farmers - but to make make them even more so, we are working in partnership with organizations that offer financial services, like VisionFund International, the microfinance (MFI) arm of WorldVision. 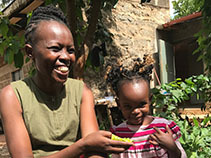 Meet Fabian and Nyina, a couple in rural Kenya who built such a successful farming business that they are able to support their family and members of their community, despite having limited experience and resources. 1 in 5 people across Africa go hungry. Herbert isn't one of them--anymore. 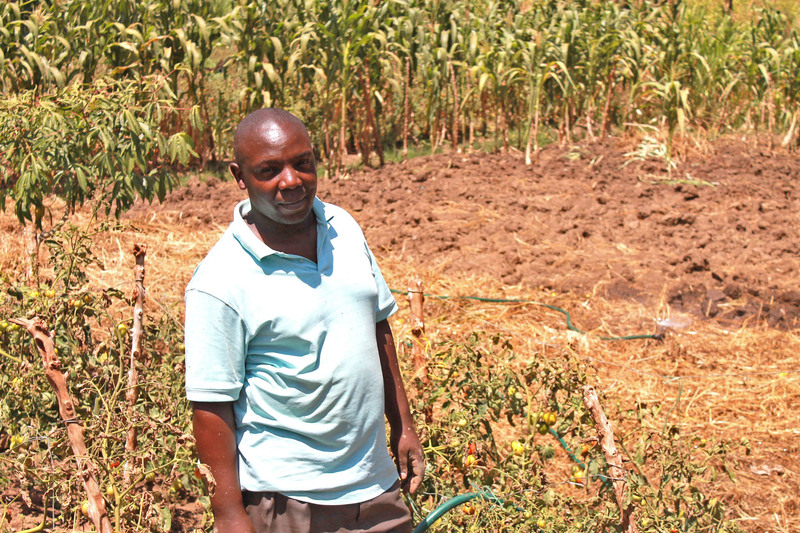 Samuel is a 26 year old farmer who turned his life around with the help of a test model of KickStart's solar irrigation pump. 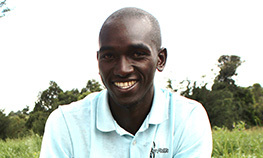 Meet Isaac – a husband, father and successful entrepreneur. 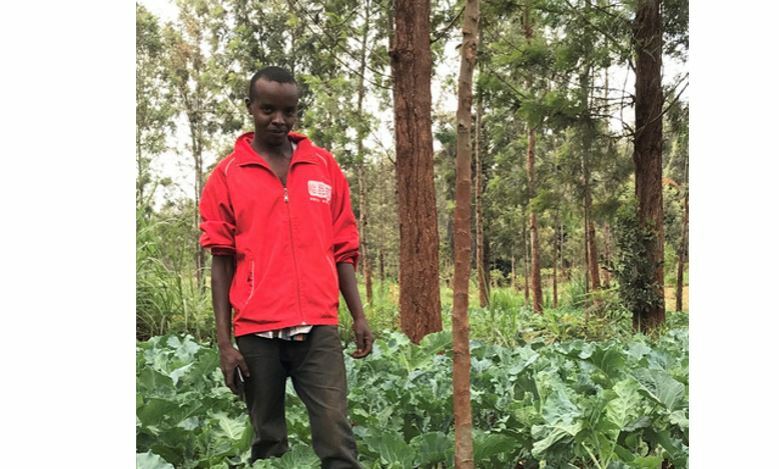 One of the first farmers to use a prototype of KickStart’s solar pump, Isaac considers KickStart his business partner and thinks his newly found prosperity and his use of our solar pump are inextricably linked. Suzanne is not just a grandmother - she is also an entrepreneur. 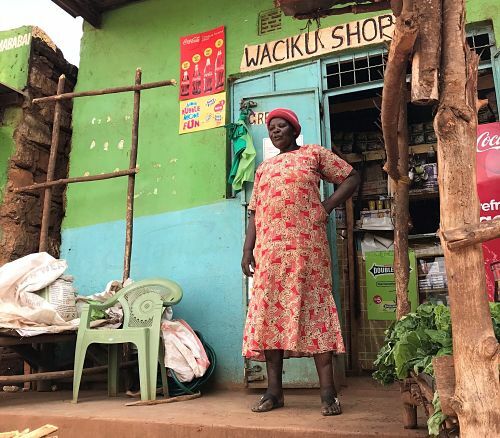 With the help of a test model of KickStart’s solar irrigation pump, Suzanne is able to support her family - and run her store and her farm - at the same time. 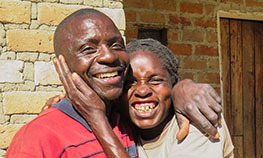 As a single mother living with HIV, the odds are stacked up against Grace. But she is a fighter.